The latest Tucson AZ Central Area February 2016 Home Sales Report is for Single Family Residence (SFR). Just click the link below to view the latest months Single Family Residences sales activity. In addition to this Tucson AZ Central Area February 2016 home sales report, our Tucson Housing Report covers real estate active for all of Tucson AZ. Our Tucson AZ Central area February 2016 sales report video summarizes the recent real estate activity in Tucson AZ. Play The February 2016 Tucson AZ Central Area Home Sales Report Video – NOW! Tucson AZ is one of the oldest continually inhabited areas in North America. Hohokam Indians are a key part of Tucson history and farmed here for 4,000 years before Spanish missionaries and soldiers came in the later part of the 1600s. Tucson AZ sits in a Sonora Desert valley and surrounded by five mountain ranges. The City of Tucson is very large with nearly 600 square miles with in its boundaries. The City of Tucson offers residents an array of natural landscapes, desert vistas and mountain views. The Coronado National Forest, Catalina State Park, Ironwood Forest National Monument, and Saguaro National Park are all located in or near Tucson AZ. For more on the history of Tucson Arizona – Go! Tucson Arizona offers an incredible array of things to do, places to dine, annual events, entertainment and, yes, places to shop. The weather in Tucson AZ means outdoor activities can take place the year around. Golf, hiking and Tucson weekly special events are held through out the year. Yes, it is warm in the summer, but you don’t have to shovel sunshine! The University of Arizona is located in the central area of Tucson. This brings a vibrant lifestyle to the downtown areas. Athletics play an important roll at the U of A with basketball, football, baseball, and women’s softball being nationally ranked teams. Parents of U of A students frequently purchase condos instead of using student housing as an investment opportunity. 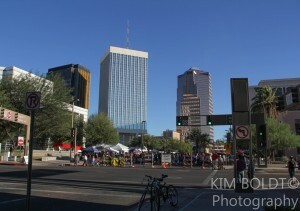 Tucson AZ Central area is a great place for “Downtown” living and close to the University of Arizona. Many Historic homes in Tucson are found in the Central area. Single family homes, condos, townhouses and lofts are found in Tucson AZ central area. If you are looking for a home in Central Tucson AZ or another of the great neighborhoods and communities surrounding Tucson, we can help.